If you're relatively new to WordPress, you may have been confused by the difference between WordPress.com and WordPress.org. If so, you're not alone. In this video, we'll take a quick look at the differences between these two related, but distinctively different versions of WordPress. 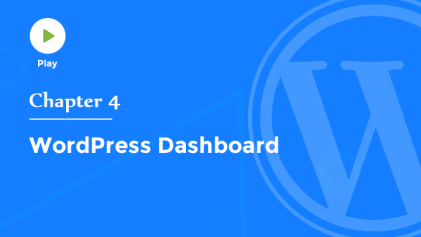 As you probably know by now, WordPress is a free, open source, software package that enables you to create a full-featured website that can be managed using just a web browser. WordPress is available for download from WordPress.org. Anyone can download WordPress for free, but it must be installed on a web server in order to work. You'll need a web hosting provider, which can cost anywherefrom $5 to $30 a month, and many web hosts include simple tools to install WordPress on your web server with just a single click. Once WordPress is installed, you'll have complete control over your entire WordPress-powered website including the ability to install custom themes and plug-ins to add new features to your site or even modify the underlying CSS and PHP files to create a completely custom site. 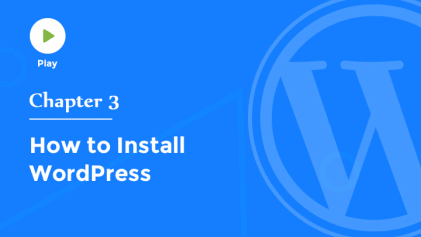 If you plan to customize your site by installing a premium theme or a plug-in, or you want to ensure that you'll have the most flexibility down the road, you'll want to use the self-hosted version of WordPress, available for download from WordPress.org. Wordpress.com, on the other hand, is a free, hosted version of WordPress that enables you to build a simple blog or website in just a couple of minutes. During the sign-up process, you'll choose a name for your site, which will then automatically include dot WordPress.com at the end of your site's web address. You can purchase an upgrade, which will enable you to use your own domain name without this WordPress.com portion. After you select a name for your site and finish the sign-up process, you'll choose from a set of preselected themes, which control the look and feel of your blog or website.Again, you can purchase an upgrade, which will allow you to customize the design of your site, but you won't be able to install premium themes from third party theme companies. There are a number of other upgrades available for purchase, including video hosting, space upgrades, removing ads that are shown by default, and more. And should you ever decide to transfer your site from the fully-hosted wordpress.com service to a self-hosted WordPress.org installation, you can even have the WordPress engineers handle the entire move for you for a small fee. WordPress.com also includes the ability to collect feedback from your readers through polls or ratings on your posts. a mobile theme,which will ensure that your site is optimized for display on mobile devices. While there are many built-in features that are great for beginners, keep in mind that with the fully-hosted WordPress.com service, you can't install premium themes or plug-ins from third parties, monetize your site through ads, or customize the underlying files that power your site. So if you're looking for a free, easy way to get started with a basic blog or a very simple website, W WordPress.com includes free hosting, automatic upgrades, and a number of built-in features that will help you create a site in just a few minutes. But if you prefer complete control over your site's content and presentation, and you'd like to take advantage of custom themes and plug-ins to help make your site even more unique, you'll be much better served by the self-hosted version of WordPress available from WordPress.org. 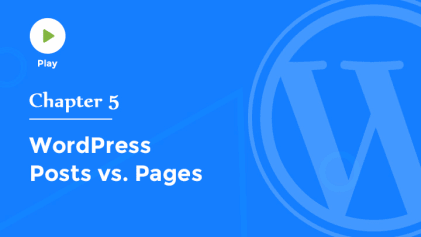 So hopefully this helps clear up some of the confusion about the differences between the two versions of WordPress, and you're now able to decide which one best serves your needs as you build your blog or website.